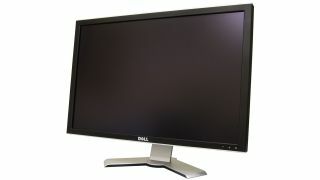 Back in 2006 I forked out £800 for a Dell 3007WFP PC monitor. As a hardware hack, it's generally not the done thing to actually buy anything. You blag. You borrow. You make one laptop loan last until the next comes along. After all, the speed with which PC kit becomes redundant is all the more obvious when the latest thing is constantly dropping into onto your desk. But the Dell 3007WFP was a bit different. At 30 inches and with 2,560 x 1,600 pixels, it completely blew away anything I'd previously seen. I had to have one. Not just for a month or two on loan. But mine to keep. That alone is unusual. What's truly remarkable is that I'm still using it today. OK, I don't use it as the display on my primary production PC. It's plugged into a kitchen PC. But I still use it daily and would be more than happy with it as my main display. That pixel grid is still as good as it gets in desktop PC land. Hell, it even has an IPS panel, a technology that really only became fashionable when Apple stuck it into the iPhone 4 in 2010. Compare the 3007WFP to just about any other PC component of similar vintage and it's quite incredible that it still feels mostly cutting edge. Back in 2006, we were talking ATI Radeon HD X1900 graphics at the high end. We were talking Core 2 Duo CPUs. We were talking no such thing as SSDs at all. That's not to say the 3007WFP is completely up to date. It may be IPS, but it's relatively poor when it comes to contrast. It has an old school CCFL backlight which is only going to get dimmer with use. There's no touch functionality, either. And I'd love to upgrade it to 120Hz. That said, you still can't buy a 120Hz 2,560 x 1,600 panel today. So I can hardly hold that again the good old Dell. But more than anything else the 3007WFP proves that a good display is the one thing that's worth really investing in when it comes to computing. It's also a timely reminder that big displays matter. Right now, everyone's going mobile mad. Nobody cares about desktop PCs. But even if you can squeeze the computing power of a PC into a smartphone, there's still won't be any substitute for a large, quality display for actually getting things done at home and in the office. Well, not until some kind of funky new holographic project tech comes along or we can pipe images directly into our visual cortexes. I doubt that's going to happen in the next five years. In the meantime, may I suggest you buy yourself a good PC monitor.